Greene kicks Dahlhaus in the face in a marking contest. TOBY Greene is free to play the remaining rounds of the home and away season after escaping suspension from the AFL's match review panel. 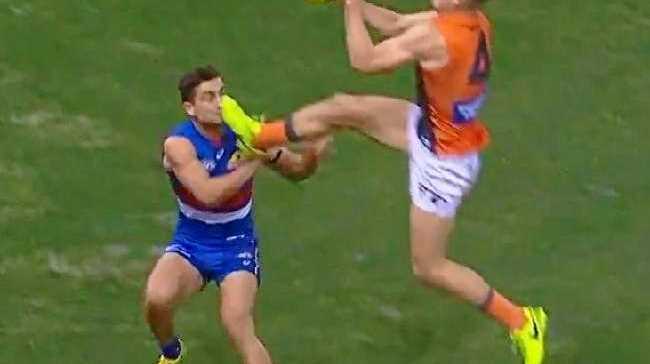 Greene was reported on the spot for rough conduct after the incident in which his foot connected with the head of Bulldog Luke Dahlhaus. Dahlhaus went off the ground with a bloodied mouth. But the Giant breathed a sigh of relief on Monday afternoon when the MRP announced it would fine Greene $1500 for misconduct. 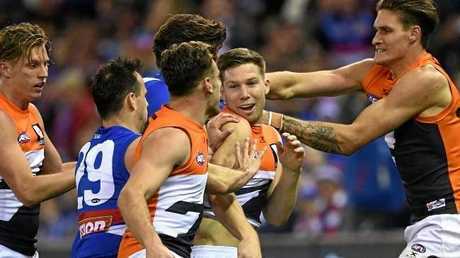 Greene's report continued a string of controversial clashes this season for the Giants' forward, who has already been suspended twice for striking Tiger Alex Rance and Bulldog Caleb Daniel. The bizarre incident sparked a storm over the weekend with opinions divided between an unfortunate accident and a deliberate act. GWS coach Leon Cameron said he understood the "hysteria" but the fact Greene had his eyes on the ball should be a deciding factor. 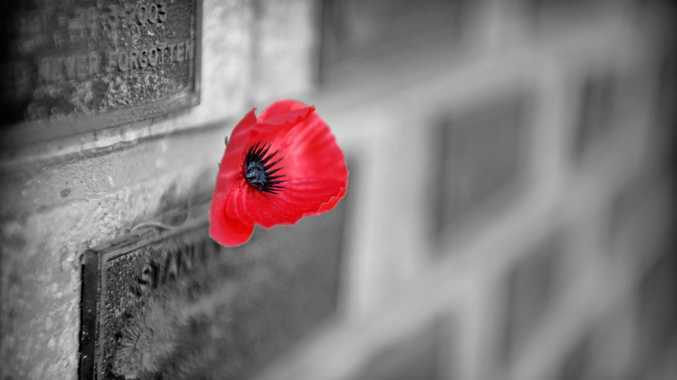 "What he has done is protected himself. You are never going to take it away from a player that keeps his eyes on the footy," he said. "He has got his eyes firmly placed on the footy and these little unfortunate things happen in footy." In other incidents, Western Bulldog tall Jack Redpath has been hit with a two-game ban for striking Phil Davis, his penalty impacted by a bad record. Power midfielder Ollie Wines was given a $1000 fine for his bump on Tom Langdon, as was Bomber Ben Howlett. No explanation of the panel's determination on Greene was given. Redpath received an extra match sanction due to his poor record, with the strike deemed to be "intentional contact with low impact to the head". Wines' high bump on Langdon was assessed as careless conduct with low impact to the head. Roos big man Brayden Preuss was also fined $1500 for striking Hawk Conor Glass, while Sun Jack Martin was hit with a $1000 fine engaging in rough conduct against Brisbane's Hugh McLuggage.